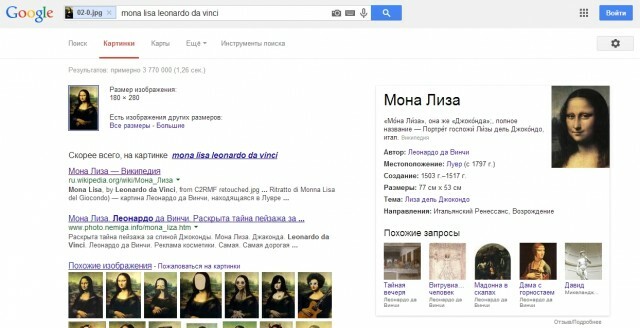 We often have to search the Internet for images for different needs: for publication in social networks, for presentations, to their blogs, sites, etc.. And if you find a particular picture is not easily (type in the search for and select), then find similar pictures through organic search rather than just, and often for a long time. However, there is a solution. Today, there are special services (they are still very few), which can search by image. In this case, you can find copies of the pictures, Similar pictures with changes, as well as pages and sites, on which this picture is found in a particular embodiment,. In this article we will give detailed instructions with screenshots, how to search similar images on the Internet. For this we need the Internet browser (preferably FireFox or Google Chrome) and the original picture, "brothers and sisters" which we are going to look. First and foremost, you need to use a special service, who is in search of similar images. 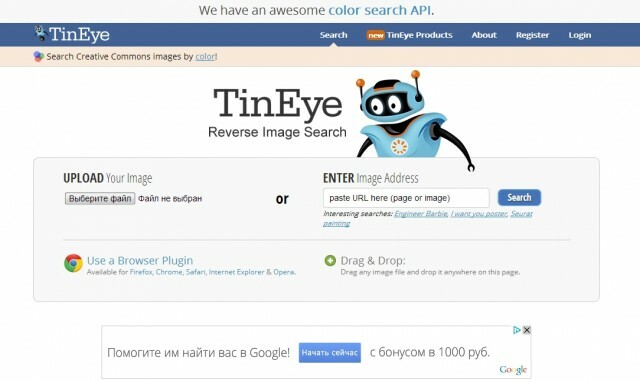 In this paper, we present as an example 2 site, which are most popular among users: TinEye.com and Google. If the file is stored on your computer, press Select a file. If you need to find a copy of the picture, placed on any website, you must first obtain a reference. To do this, go to a page with a picture, right click on the image and select the item Copy image URL. Then paste the copied address in the box on the site tineye.com (at the, that the right, labeled paste URL here) and press the button Search. How view, program "bypassed" more 4 billion pages and found about 14 thousands of copies this image. The following lists all the sites, where there is an image. Service allows for those images, which differ slightly from the original. for example, if the picture is "placed" in a frame, It has a shadow, label or small "podrisovki". Also, there will be pictures with altered colors (black and white, negatives, with high contrast and straight.). To find as many similar images, it is desirable to load images only site in the correct format (this gif, png and jpg), and size no more 300 pixels, in height, and width. Compare the pictures and found the original. Press Switch you can switch between the original picture and found. 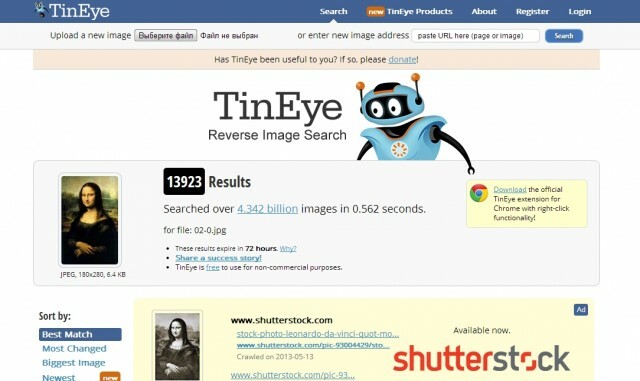 by the way, Online tineye.com have the opportunity to download and install plug-ins for Google Chrome and FireFox. 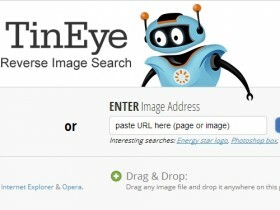 With their help, just click the right mouse button on any image and choose "Search Image on TinEye». It is not necessary each time to visit the site and download the picture. Everything happens automatically and is much faster. Search for images of the sample can be and with the help of the Google search engine. To do this, go to the website google.ru and click on the link "Pictures» (right at the top). Opens a new page with a search string, equipped with camera icon. To find a picture, you need to click on this icon. Further actions are little different from that, what we did on tineye.com. If the picture is on the computer, can upload image. If the picture is on the internet, you need to enter its address (URL). How view, found sites (about 3 million), where he meets this picture. 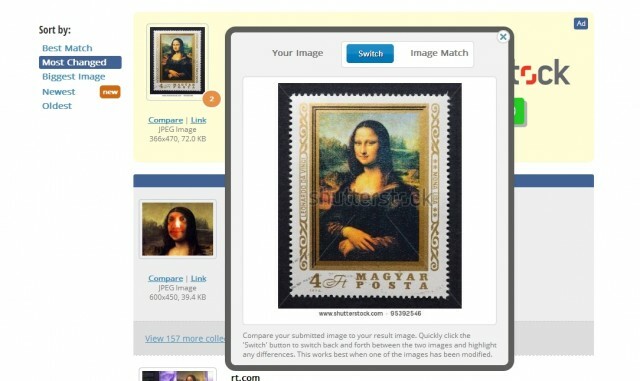 And if you click on the link "Similar pictures"A new window opens, where we can see a lot of variations of our image. Basically, 2 These examples - and the best, perhaps, the only options for image search. Until recently, image search can be on site gazopa.com. Now, however, this function does not work on the site, though the creators and promise in the near future to launch a search site for its users.